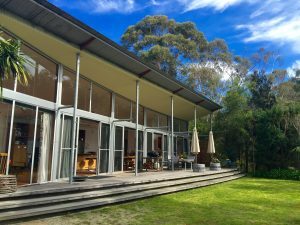 arthouse bay of fires is an architect-designed beach house nestled in a private and protected natural bush amphitheatre setting. Just 50 steps away is north east Tasmania’s Binalong Bay – luminous white sands, pink granite boulders encrusted with orange lichen and aquamarine shoreline. The Bay of Fires stretches north from here, with deserted beaches, clear waters and abundant wildlife. arthouse studio is a separate large creative space that awaits those wishing to express themselves. 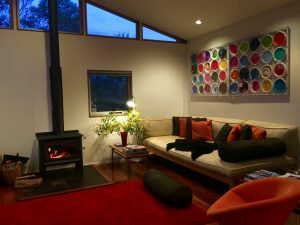 arthouse is perfect for a couple or 2 friendly couples or 4 very friendly friends! We welcome people over the age 10 and non mobile babies. This policy is negotiable.